This is a gorgeous photo album with a soft-touch feel to it. It is 8" x 5" and has 20 pages with sleeves to pop your photos in, so 40 useable sleeves. It comes in a perspex box to store it in. 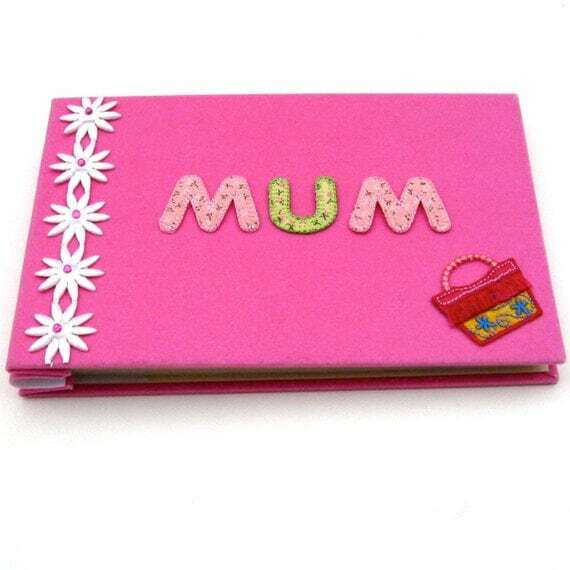 Decorated with a floral fabric line with gems, the word Mum and a lovely handbag. The perfect album for a Mother of the Bride, or a birthday gift or Mothering Sunday gift. Folksy :: Buy "Mini Photo Album - Tulip"
Folksy :: Buy "Mini Photo/ACEO Album - Embossed Pink and Purple Flowers"